If you ask horse owners to name the #1 insect pest, many would say “flies.” While flies can certainly be troublesome, they aren’t the only winged nuisance causing problems around the stable. “The first step of integrated pest management (IPM) is to identify the pests you’re trying to control because you can’t control all insects with the same technique. The most common mistake people make is treating all insects as if they’re the same,” notes Phillip E. Kaufman, Ph.D., Associate Professor of Veterinary Entomology at the University of Florida in Gainesville. After you identify the type of pest(s), you need an idea of how many you’re dealing with. Do you see lots of flies in the barn but relatively few around the horses outside? Are face flies a problem? Are insects actually landing on the horses? Manure equals flies. Sanitation is #1 when it comes to reducing your fly population. “Stable flies and house flies breed in manure. Many people clean their stalls regularly, but put the manure pile 20 feet from the barn. All they’ve done is move the breeding site, but they need to eliminate it,” explains Kaufman. The best plan is to have a dumpster where manure and soiled bedding can be placed and hauled away regularly. If this isn’t possible, locate a manure pile far from the barn or spread the bedding onto a field (ideally, where no horses graze). Certain mosquitoes thrive in container habitats, which is a breeding site you can control. Stagnant water — especially water with leaf and vegetation debris — is a favorite habitat, so be vigilant about eradicating such areas. Dump out buckets and tubs after rainfall, keep gutters clear of leaves, empty and refill water troughs every few days so larvae can’t develop. This is where on-horse products come into play. These include repellent sprays, wipes and pour-ons, as well as equine apparel, such as fly masks, fly sheets and fly boots. When it comes to repellents and insecticides, make sure you’re using one targeted to the specific pests you’re trying to control. For pastured horses and hard-working horses, look for sweat-resistant formulas. Whatever type you use, be sure to read label directions and apply the correct amount at the recommended frequency. 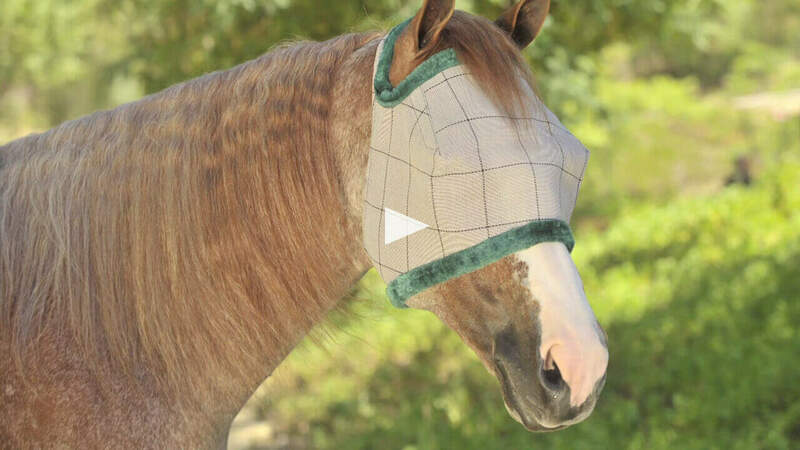 Fly masks, sheets and boots can be especially helpful for sensitive horses as they provide physical barriers to protect against biting and annoying insects. In addition to on-horse products, other physical controls include the use of fans in stalls and screens to exclude flying insects. Sticky tapes can be useful in catching flies, as can fly traps, both the disposable and re-usable types. If you have house and/or stable flies breeding in your manure pile, Kaufman recommends using “fly parasites,” also known as parasitoids. These beneficial insects lay their eggs in fly cocoons, killing the fly pupa before it can mature. “You should only buy these if you can identify fly breeding sites with larvae and pupae and these sites cannot be cleaned,” says Kaufman. Fly bait can also be very effective. An advantage of fly bait is that it doesn’t kill beneficial insects, but follow label directions closely and keep out of reach of domestic animals and children. Ask your veterinarian if he/she recommends using feed-through fly control. These products, which are added to the horse’s feed, contain insect growth regulators that kill the larvae in the horse’s manure, interrupting the fly life cycle. 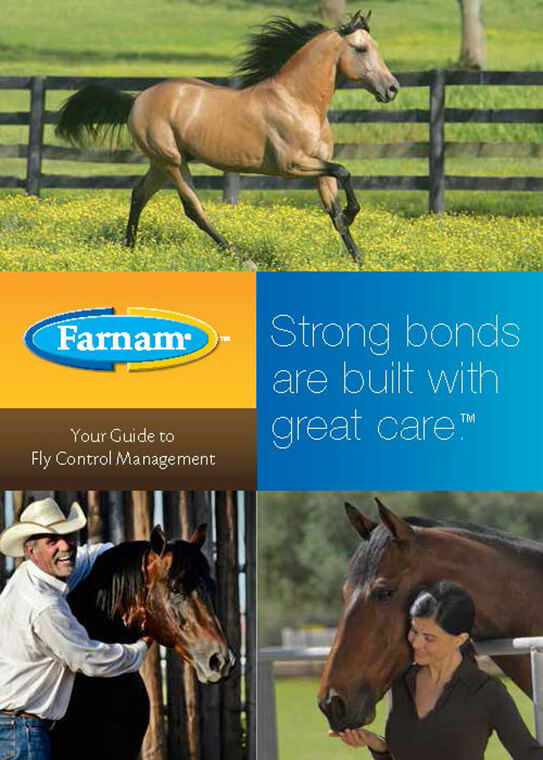 These products aren’t a stand-alone approach since they do not control adult flies. Fortunately, the battle against insect pests is weighted in our favor, thanks to a variety of products and a combination approach, as described above. If you have more questions, talk with your local cooperative extension specialist about what works best in your area.